Two cabins and the owner's home are situated on the unique property. Guests can enjoy bonfires, a chapel, gardens, short walking trails, the large gazebo and the wildlife. 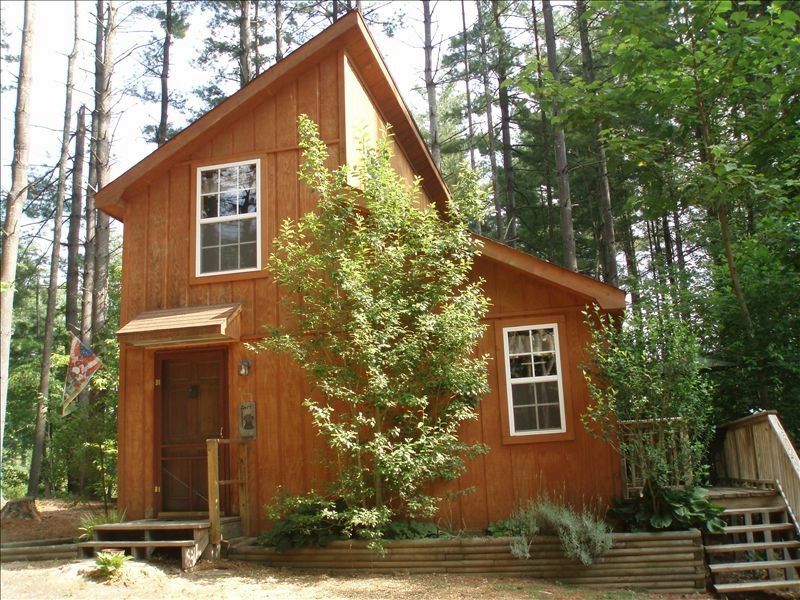 Very nice and accessible to State and national forests. Great retreat in spectacular location! Loved the cabin!! We appointed and the common areas were truly enjoyable. Will be back for sure!! Great property for kids to run free doing outdoor activities. Short drive to Sierra Nevada Brewery. 30 min to downtown Asheville. Would gladly stay again. We had a wonderful experience here. Would certainly come back! The cabin was well equipped. Thank you! Children under 12 are free. 12-18 are $5.00 per night or $15.00 per week.